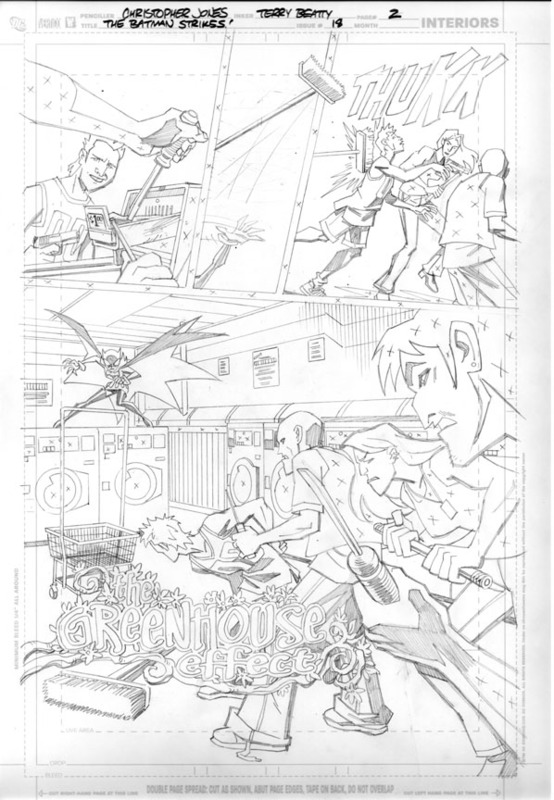 Whenever possible, I always preferred hand-drawing my own sound effects and story titles during my run on The Batman Strikes! I especially liked incorporating the logo into the background art in some way, probably because of all those great Will Eisner titles for The Spirit. But I always had to work with what I was given. Sometimes I didn’t have a lot of room. Sometimes the story title didn’t lend itself as well to graphic treatment. But it almost always was more pleaseing to my eye than having it left to be typeset by the letterer. Let’s kick this off with a pair of logos from Poison Ivy stories (boy we had a lot of Poison Ivy stories on The Batman Strikes!). Here’s an example of a title that lent itself to graphic treatment nicely, but as part of a 4-panel page there wasn’t much room to work it into the background art. Still, I was able to give the title something of a flowery flourish, and that was fun. Here’s a view of the full page, so you can see how the logo works in context. Inks are by Terry Beatty and colors are by Heroic Age. Which I guess you could read for yourself in the credits if you click on the image to see it full-size! In The Batman Strikes #33 we had the reverse scenario: A big splashy full page shot, but kind of a simple title. I opted to just create really organic character shapes and try to make it look as though it were wrapped around the side of this giant vine structure. I was quite happy with this page overall. 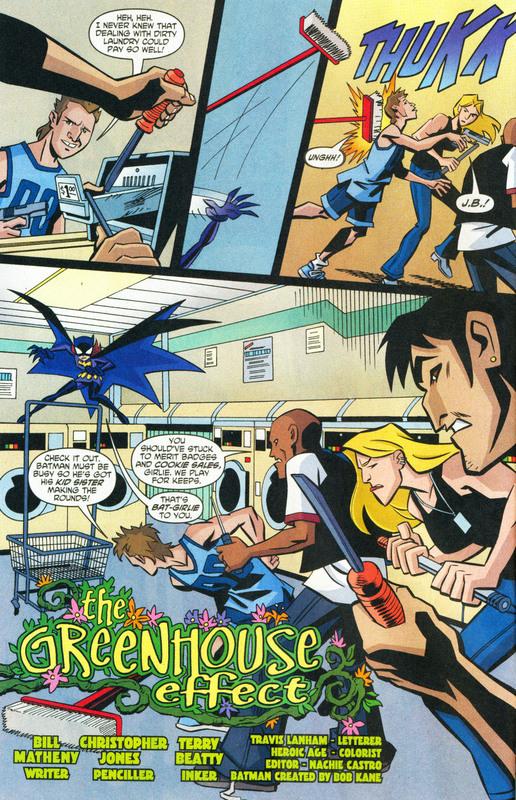 BTW – those are plant simulacrums of Poison Ivy that Batman, Robin and Batgirl are fighting. I like the dizzying quality to this shot, and the way the vine wraps through the image. The credits were colored a bit darkly, but I suppose no-one really cared except for the seven people who’s names are listed there!